There is always so much to do in Paris for passionate and casual art lovers alike! The team of the Hotel Observatoire Luxembourg is particularly eager to share with you three current exhibitions that we regard as simply outstanding. This spring, just a short walk from the Hotel Observatoire Luxembourg, you can enjoy an original exhibition dedicated to a group of artists who formed a movement that, although once influential, is relatively little-known today; the Nabis. The Nabis and the Décor at the Musée du Luxembourg from March 13th to June 30th, 2019, looks back on the birth of contemporary decor and the search for movement, colour and lightness that characterised it. From February 20th to June 17th, the Fondation Louis Vuitton welcomes the works of the British industrialist and art patron Samuel Courtauld who, at the very end of the 19th century and the first half of the 20th, assembled an astonishing collection of works by the greatest Impressionists and post-Impressionists. 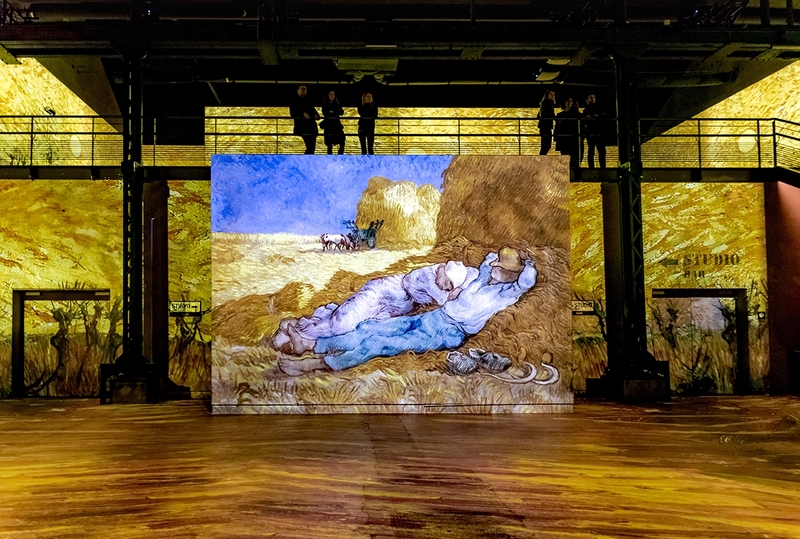 Finally, the Observatoire Luxembourg team heartily recommends an extraordinary experience at the Atelier des Lumières. This former foundry has been converted into the capital’s first digital art museum. Great works of art are projected on the walls, floors and ceilings and set to music to create a multi-sensory and immersive experience in which you can see the vibrant colours, fine details and brushstrokes as never before. From February 22nd to December 31st, Vincent Van Gogh's Starry Night and other masterpieces by the troubled painter are featured in all their luminous, vibrant and sublime glory. Paris has a constantly evolving art scene. The exhibitions and events the city hosts in various prestigious venues are many and diverse. Come and enjoy the current selection.